An Arizona man who used online dating sites like Match.com, PlentyOfFish.com, and Tinder to perpetrate online dating scams has been sentenced to more than 15 years in prison. Daylon Pierce, who went by the alias of Daylon Jung, pleaded guilty to two counts of Fraudulent Schemes and Artifices. From February 2015 through November 2015, Pierce would court women online, start a romantic relationship, then convince them to invest thousands of dollars in fraudulent investments. One victim gave Pierce nearly $250,000 after cashing out her 401k. Another gave him $100,000 after taking out several loans. In all there were at least 13 victims who gave Pierce over a million dollars. After cultivating a relationship with the women, Pierce would tell them that he owned and operated a successful investment company and was a licensed stock broker. Neither were true. The exact sentence was for 15.75 years. A restitution hearing will take place at a later date. 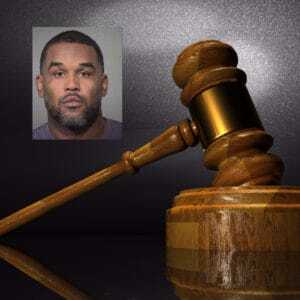 An Arizona man has been sentenced to 15 years in prison for online dating scams against women.